“What? You’ve lost your passport?” I shout, mouth gaping in disbelief. The year was off to a highly inauspicious start. It wasn’t even noon on January 1st 2012 and we’d already witnessed a serious accident involving a semi and a now very compact car plus a minor crash between a car and a motorbike. 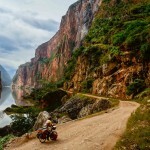 China’s Highway 209 heading south towards Vietnam was turning into two narrow lanes of terror. Trucks overloaded with sugar cane rumbled along while motorbikes and scooters raced by, weaving in and out dangerously. Impatient drivers of Hondas and Fords attempted to overtake slower moving vehicles on blind curves and hills, apparently oblivious to the risks. The traffic pumped past in a steady stream and we rode in a state of high alert, ready for a villager guiding a water buffalo to dart out into the road or a reckless driver passing on the right to come careening head on into our path. Water buffalo are OK on the back roads but I'd rather they steer clear of the major highways. It was hard to square these tense road conditions with the beauty and tranquility of our rides—just a few days back—around Yangshuo. 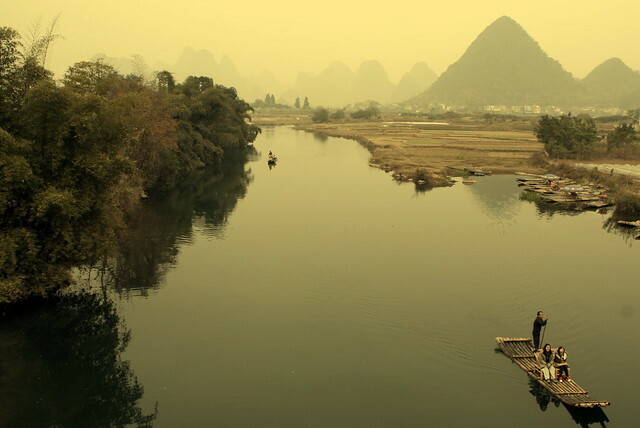 Yangshuo is China’s number one backpacker tourist spot. The striking karst landscapes of the region are renowned throughout China. 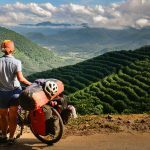 The surrounding countryside is filled with narrow tracks and riverside trails making it a veritable paradise for cycling. 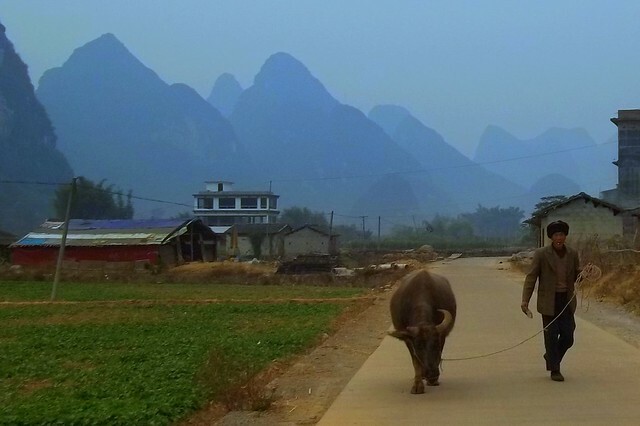 The limestone peaks, farming villages and the gently flowing Yulong River make for almost perfect riding. 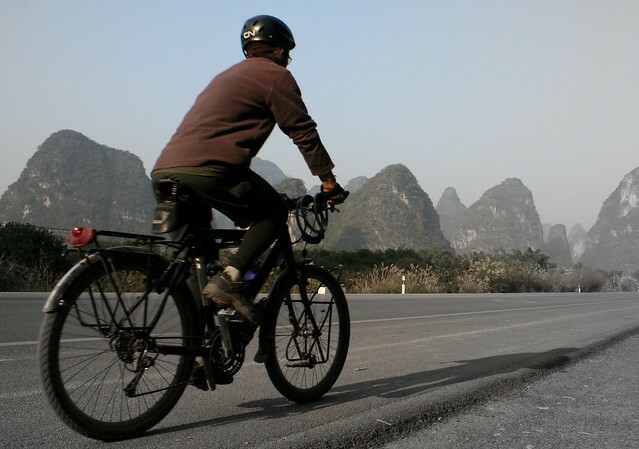 Eric bikes past the beautiful limestone peaks during a day ride in Yangshuo County. The exact opposite of the hellish conditions facing us New Year’s Day on Highway 209. And to top that off, Eric can’t find his passport. In theory, foreigners are supposed to register with the police each time they check into a hotel. In practice, most hotels (at least the cheap ones we check into) ignore this rule. Probably because they don’t want to pay taxes or risk their own encounters with authorities. The hotel staff in the town of Hung Mao were an exception. The lady behind the desk was a stickler for rules and she wanted to copy down all the passport details and register us in proper bureaucratic fashion. Hence the forgotten passport. That was two days back. Now it was time to gear up into crisis mode. 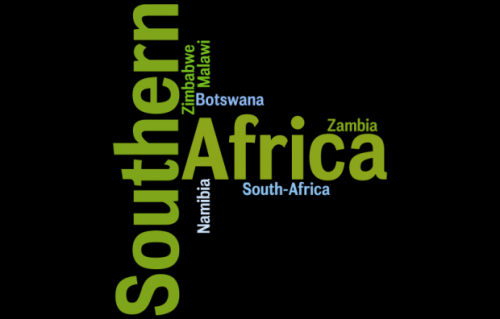 Tracking down the missing passport would be our first challenge of the new year. We raced back to the last town we’d passed, checked into a hotel (no passport required as was the usual case), and Eric set off to catch a bus back to Hung Mao in search of his passport. For the first time in almost six years on the road, I truly regretted not having a mobile phone. Eric had promised to return before dark, but would if he didn’t? The entire day I sit stewing in the hotel room. Had there been an accident? Maybe there’d been a squabble with the police and they’d put Eric behind bars. Perhaps he’d hitchhiked (although I made him promise he wouldn’t) and some psychopath had picked him up. 6 PM and night falls without Eric’s return. Now 7:00 and still no Eric. Should I go to the police? Communicating the problem would certainly be complicated. Maybe try to find an internet café and see if Eric has left a message. Even that would pose problems since the authorities introduced a new regulation requiring users to present a Chinese-issued ID or residence card before using public internet. The latest step in the Communist party’s quest to crackdown on organized opposition. Maybe I could convince somebody to let me use the internet even though I couldn’t provide the proper documents. Nothing was ever easy in China. Now it was 8 PM and I was seriously worried. Hung Mao was less than 150 kilometers away. Surely it couldn’t take so long to get there, track down the passport and return. Damn, if only we each had a mobile phone. At 8:30 there’s a knock at the door. I open up. The front desk girl is pantomiming a telephone call. I race to the lobby, thankful, we’d had the foresight to note the hotel’s phone number. Eric is on the line. What? They had locked him up. Oh, my god. My husband’s spending the night at a Chinese jail. And I’m relieved. One thing is clear, New Year’s Day 2012, won’t be one to fade fast from memory. 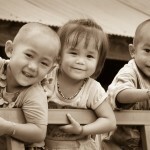 A Short Spin Through Laos–Land of Smiles! Oh, goodness that was quite a beginning to the new year. Nothing so exciting in our neck of the woods,. Glad you got the passport back and hope Eric’s “night in jail” wasn’t too terrible. Adventures are fully of, well, adventures. I bet you would not want to change a thing or at least very little. Stolen bicycle…that’s all I’d change. thanks a lot , it’s a big surprise for the new year. we’re happy you make it. cheers!!!!!! Great to hear from you, Hamson. And a shout out to the awesome Yangshuo Travellers Land Hostel. Bike friendly, great location, quiet and comfy. Check it out if you’re in China. Reading about your worry reminded of when we were Albuquerque. John and Daryl had taken the tandem down to the bike shop to have some work done on it and didn’t come back. As it got later and later I started getting more and more worried. It was pitch black outside and I was really freaking out. We didn’t have cell phones either, but that was one time when I wished we had. Hours late, they walked in the door. they had been in an accident. Fortunately, neither of them was seriously injured. The ambulance brought them home. Brought home in an ambulance!? Now that’s scary stuff. Hope all is well in Boise and best wishes to you and the boys for an excellent 2012! gorgeous scenery, it almost looks fake. And scary story…I was afraid to go to China on our tour bc of weird stories I kept hearing! Glad you only experienced the fright for a few hours and it all worked out ok! Give China a go on your next tour, hard work but worth the effort! Well, adventure is the game! 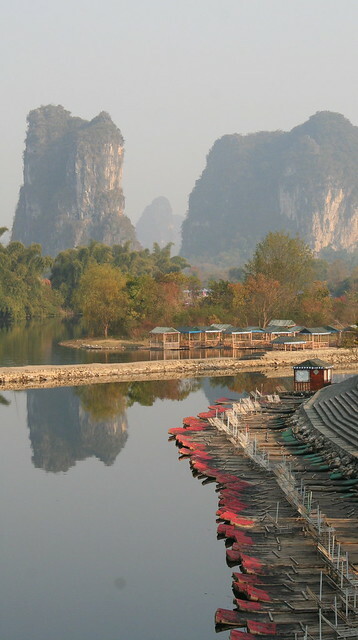 I cycled in Guilin when we were there and it was testy at best! Off the main roads were fine but anywhere else I was taking my life in my hands and hoped for the best! I am heading to Switzerland in July for a 10 day tour across the country. Don’t know how that will be but I am looking forward to it. I have never done a ride like this one but Darren Alff from Bicycle Touring Pro invited me so I am going. Have fun and take care! it is warm there and VERT COLD in ALASKA with lots of snow, wind , rain and WIND and more WIND, which is unusual. Been there done it. 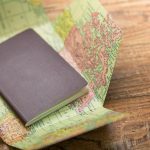 I left my passport in the room of a Spanish family’s home I stayed with in the Gambia. Only realised 2 days later, by which point the Spanish family had taken it to the British embassy and it was about to be cancelled when I called them up and said STOP. Big relief that I tracked it down and got it back. Must have been huge relief for you and Eric also. Compared to the busy roads you have in China, Malawi is cycling bliss! Happy New Year. 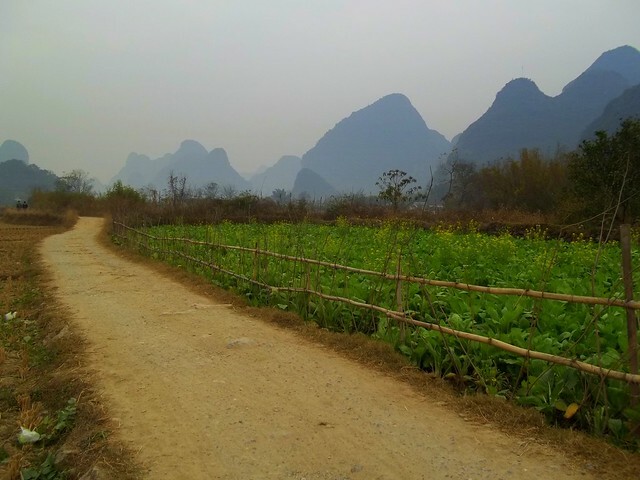 I have fond memories of cycling around Yangshuo. Boy were you lucky! The cycling gods were obviously keeping watch.